More demand is pushing organic milk farmers to produce more than they can handle. Finding organic milk may soon become a problem as producers struggle to keep up with demand. "Got milk?" is getting to be a difficult question when it comes to organic. Because even as more consumers are willing to pay premium prices for organic milk, supermarkets are having trouble keeping it on the shelves as high feed and fuel prices have left some organic dairy farmers unable to keep up with demand. "The market has surged faster than supply," said George Siemon, CEO of Wisconsin-based Organic Valley, the nation's largest cooperative of organic farmers, "and at the same time we had high feed costs reduce supply, so we had a double hit here." Organic milk shortages are nothing new. As the milk — which federal regulations require be from cows fed organic feed and free from production-boosting synthetic hormones — rose in popularity during the past decade, there haven't always been enough farmers to meet demand (it can take three years to transition a conventional dairy farm to organic). The shortages have been serious enough that major chains like Hannaford Supermarkets in the Northeast and Publix Super Markets in the South recently posted signs in the milk aisle advising shoppers of reduced supply. Some relief is expected with the seasonal spring boost in production. But industry watchers say this shortage is more worrisome because of the alarming jumps in the price of organic corn and other feed coupled with higher fuel costs. "It's kind of like a treadmill thing," said Siobhan Griffin, an upstate New York organic farmer whose cows chomp hay in a hilly pasture. 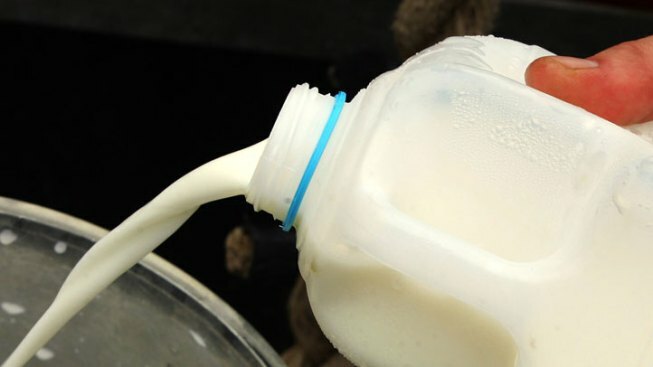 "If you make less milk you make less money, and then you can't afford to make more milk." After a recent dip during the recession, sales of organic milk — which can sell for twice as much or more as conventional milk — are strong again. Sales for organic whole milk were up 16 percent from January through November of last year compared with a year earlier, even as sales of conventional milk declined, according to federal agricultural statistics. Molly Keveney, a spokeswoman for Horizon Organic, the No. 1 selling organic milk-brand, estimated a 7 percent growth in organic milk demand in a time of flat supply. Some farmers have switched to less expensive feed, but that reduced production. Griffin, who runs Raindance Organic Farm 55 miles west of Albany, is losing money as costs outrun prices. She sold 15 cows in the fall so she could afford to buy feed for her remaining cows. In Elko, Minn., Tim Zweber of Zweber Farms said his family sold about 20 milking cows since the fall because of the feed costs, leaving them with about 100. Zweber — who like Griffin is a member of the Organic Valley cooperative— said the price his family receives for its milk versus the high costs of producing it results in margins that are very tight. "If you can't make any money doing it, take the word 'sustainable' out of organic," Zweber said with a laugh. In fact, some struggling farms are switching back to conventional milk or leaving the dairy business entirely. Milk Thistle Farm, a Hudson Valley farm that was a popular vendor at New York City farmers markets, recently announced that it no longer could afford to continue production. Horizon and Organic Valley say they have more dairy farmers making the transition to organic. But Ed Maltby of the Northeast Organic Producers Alliance said not as many farmers are making the switch because of the economics. The farmers' plight illuminates an unusual feature of the U.S. dairy economy: Most farmers do not set their own milk prices. Organic farmers typically enter into contracts with processors. This provides stability compared with the month-to-month pricing of conventional milk, but it has caused problems once food and fuel costs took off. Both Organic Valley and Horizon Organic, owned by Dean Foods Co., have raised the prices they pay to farmers to account for higher production costs. There are questions over just how much consumers — even those who will pay a premium to support sustainable family farms — will pay for a half gallon of milk. Western alliance president Tony T. Azevedo said he'd like to induce retailers to kick more of their percentage back to the farmers, though he acknowledges that's "a pretty daunting task." Some farm advocates say additional price pressure comes from industrial-style organic farming operations with 1,000 or more milking cows that are producing more milk for "private label" store brands sold in supermarkets and box stores. The large-scale operations, some with their own processing plants, can produce the milk less expensively than traditional farms and put pressure on all producers to keep prices low. The growth of these industrial-style operations has angered small-farm advocates who say they violate the spirit of organic, sustainably produced food. "Forget about the letter of the law for a second, these do not comport with the values that the consumers think they're supporting when they're buying organic milk," said Mark Kastel of the Wisconsin-based farm-policy group The Cornucopia Institute. Though no one knows when supply will catch up with demand, many expect it to at least ease in a couple of months with the production boost that comes each spring when the fields are in bloom and cows can graze. Hannaford is telling customers to expect more consistent inventory levels in April. "Perhaps when the cows go out to pasture in the spring, there might be an increase in production, but we don't anticipate that happening dramatically," Maltby said. "Nothing will really change until the price that the farmer gets paid starts to meet their cost of production."